What do you want to bet that this was Mephisto's true purpose? 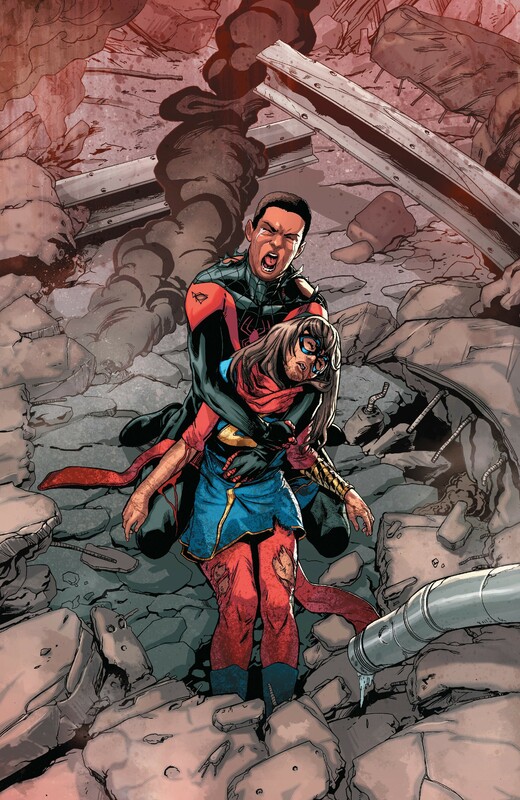 In rewinding time so the Champions could save their fallen friends, they inadvertently cause the death of this person they saved the first time around (as seen earlier in the issue). Even a freebie from the devil is gonna have a catch. 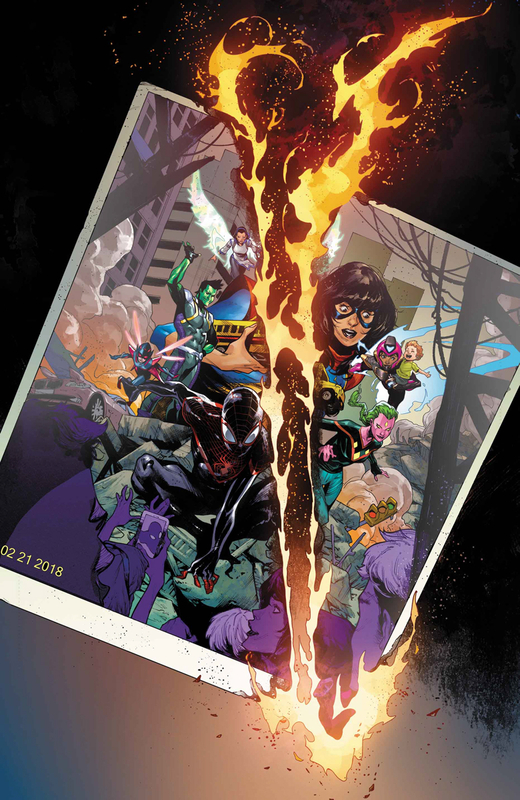 Later we'll find out she was destined for greatness, or that her death sets in motion something far worse, and the Champions will be forced with the impossible choice of saving her or saving themselves... and someone will step forward to make the heroic sacrifice. (Kamala: "I have to do this!" Viv: "Now we will find out if I truly have a soul or not!") And of course the willing sacrifice will cancel out the bargain because that's how it always works in a deal with the devil. And Mephisto will vanish in a puff of smoke, thwarted but secretly claiming it was part of a larger scheme. Whaddya think, too obvious a storyline? Maybe it's obvious but it's still a good story. I always felt one of the reasons Mephisto made that deal with Peter and MJ was to prevent May Parker from being born, perhaps a person destined to put a major hurt on him. What better way to prevent it than undoing her existence? He prevented Annie Parker's birth. Mayday Parker was implied to still be alive until the stupid "no, it was really AUNT May" reveal. 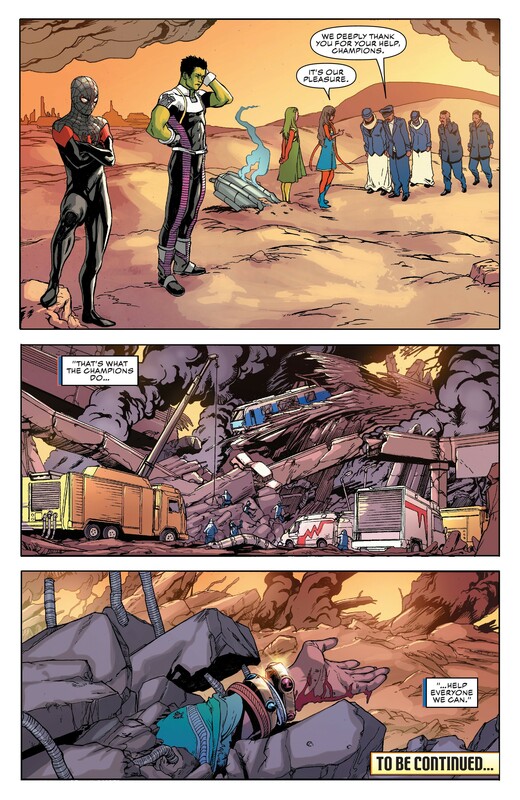 Other than Marvel editorial's hatred of the Spider-Marriage, there's nothing saying Mayday isn't out there somewhere. what do you mean "No it was really AUNT May". Your question is exactly what everyone reading Spider-Man: The Final Chapter asked. There was a whole bit with Alison Mongrain going “May is alive!” which lead Pete and MJ to think it was their daughter. It turns out the May was Aunt May who Norman Osborn had faked her death prior. MJ was pregnant with baby May (who shall be called Mayday from here on) during the entire clone saga. May Parker wakes up from the coma she went into shortly before the Clone Saga started. After spending the day together in one of the greatest Spider-Man stories ever, she tells Peter she’s known he’s Spider-Man for a long time and then collapses. She dies in the hospital. Kaine (whose Spider-Sense is boosted to the point where he is a full-on precog) has visions that she and her baby are in danger. He goes around killing villains he sees as a threat to Peter and MJ’s future family and disfigures their faces with his “Mark of Kaine” (think Spider-Man’s wall crawling power …. But applied to human skin). He even kidnaps MJ a while "for her own protection" before Peter and Ben save her. Yada Yada. Two years of Clone Saga. Yada Yada. At the end of the Clone Saga, the Daily Grind (a coffee shop the characters had been visiting and Ben worked at for a while) hires a new character named Alison Mongrain. Alison drugs MJ’s coffee with something that induces labor. At the hospital MJ is told that the baby is stillborn. Alison Mongrain is posing as a nurse. One of the very last scenes of the Clone Saga shows Alison Mongrain taking a payoff from the newly resurrected Norman Osborn (who had just killed Ben). She was given a mysterious package to protect and sent off to Europe. Most fans assumed “the package” was Mayday. Right after the Clone Saga we found out that the Scrier – who was previously implied to be some kind of cosmic being – was actually a cult of masked people dedicated to worshiping said cosmic being. 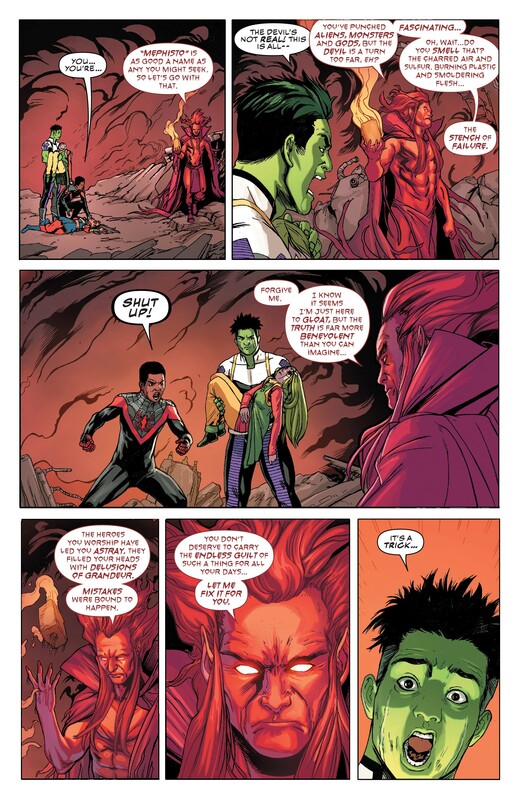 Norman Osborn had infiltrated them during the period when he was “dead” and taken control. They had secretly been his spies and enforcers during the Clone Saga. Later the Daily Bugle reports that a bunch of Scriers have been found dead overseas with the Mark of Kaine on them. 616 plays it differently … and stupider in Spider-Man: the Final Chapter. A surprisingly alive Alison Mongrain shows up again in NYC. She doesn’t stay alive for very long because Norman has been trying to cover his tracks. Before she dies she’s able to tell MJ that “May is alive”. Peter takes the news about as well as can be expected. He goes on a rampage and attacks Norman at his hunting lodge while demanding Norman give him his daughter back. After Peter wins the fight, he investigates the lodge and finds May. Not baby May. His Aunt May. After the dust settles we find out this is the real Aunt May and she has no idea Peter is Spider-Man. The Aunt May who died was an actress hired by Norman. Talk about commitment to a role. Then the Byrne/Mackie reboot happens and the focus moves to getting rid of MJ. Mayday is never mentioned again outside of Spider-Girl-related stories. Yeah, Spider-Man: the Final Chapter might be even worse than One More Day. Useless Trivia: Spider-Girl is arguably Marvel's most successful solo super-heroine. I mean, they get creative with the numbering when they want to boost Carol Danvers or whoever but I think her only real competition is (Pre-Hellcat) Patsy Walker. I’d say the honor of most successful solo super heroine goes to Shulkie. Yes, we saw her earlier in the issue, Miles had saved her. 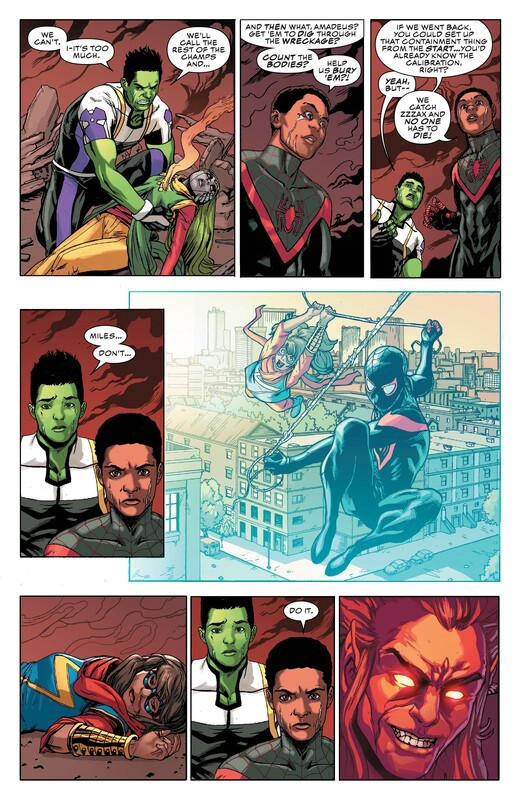 But because Miles focused on saving Kamala and Viv this time, the civilian died. Remember a dozen plus years ago when Spider-Men DIDN'T bargain with demons? Good times. Seriously. Is this just a Spider-person thing now? I kinda like how Cho is the voice of reason.